Have you ever gotten carried away in the bulk section at your grocery store? Well, sometimes you end up with way more than you planned. Looks can be deceiving, seriously, when you fill those plastic bags full of bulk ingredients and you don't realize how much it is until you get home and are trying to fit it in your storage containers. That happened to me with dry milk powder and Dutch cocoa powder. I have a few roll recipes that use dry milk powder, including these Lunch Lady Rolls, but I still have more than enough to go around. I had never tried Dutch cocoa before and was curious, so for some reason I ended up with about 2 mason jars full. 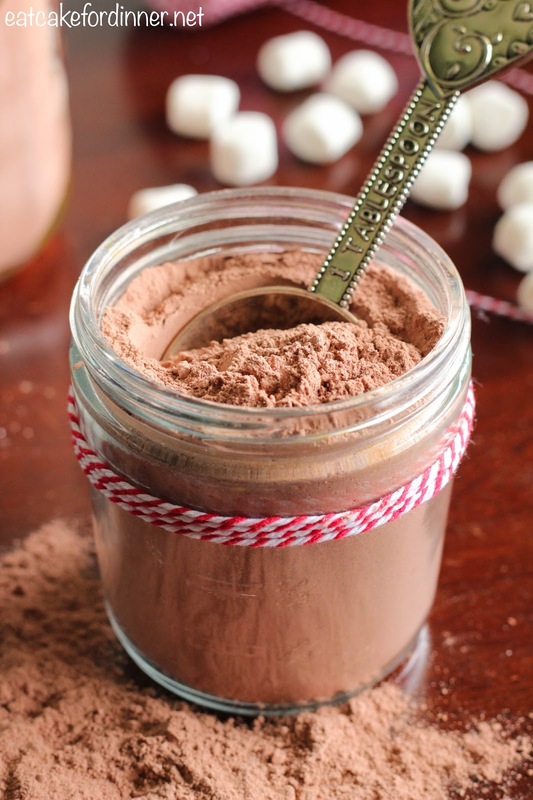 Luckily, I can use both of those in this yummy cocoa mix. 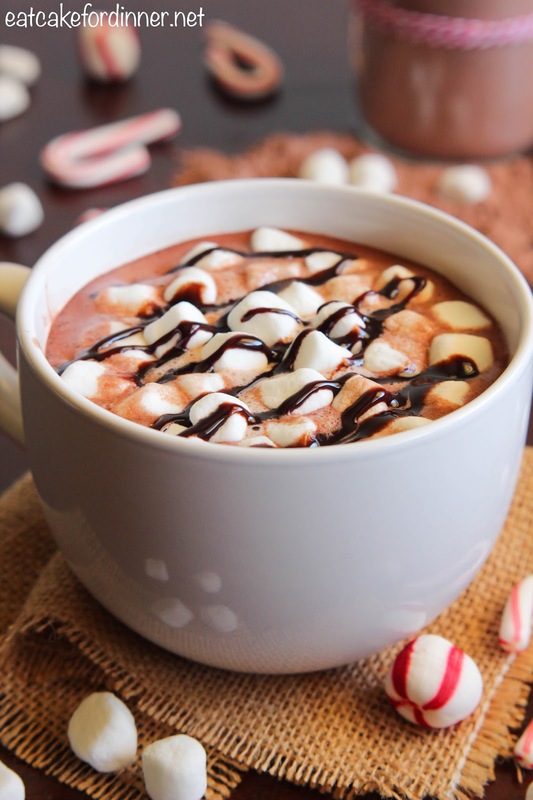 Since it's been pretty chilly lately, hot cocoa had to happen. 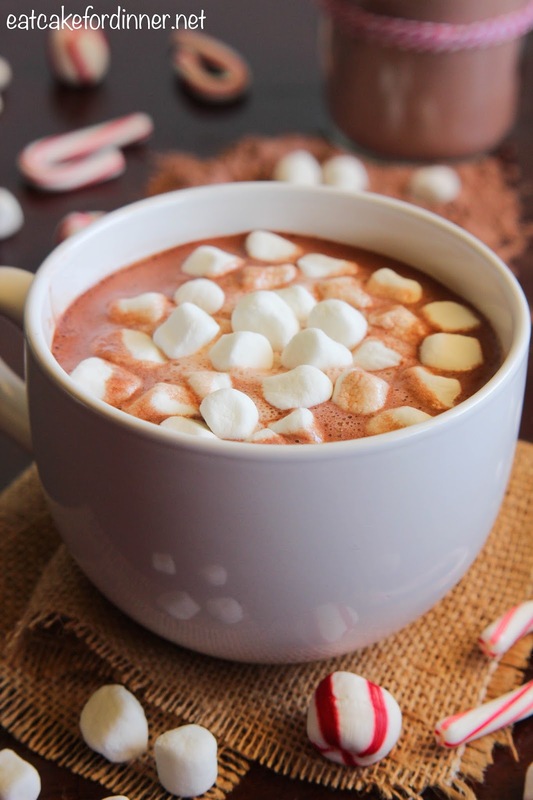 This cocoa mix creates the most rich and creamy and thick hot cocoa. It has a lot of chocolate flavor. The dry milk powder gives it a sweet dairy flavor and the powdered sugar helps it thicken. And if that isn't enough, you blend it in with milk and not water, so it's extra creamy. Combine all ingredients in a food processor and pulse until white chocolate is finely ground. Store in an air-tight container. Makes about 10 servings. So warming! Nice for old winter evenings..